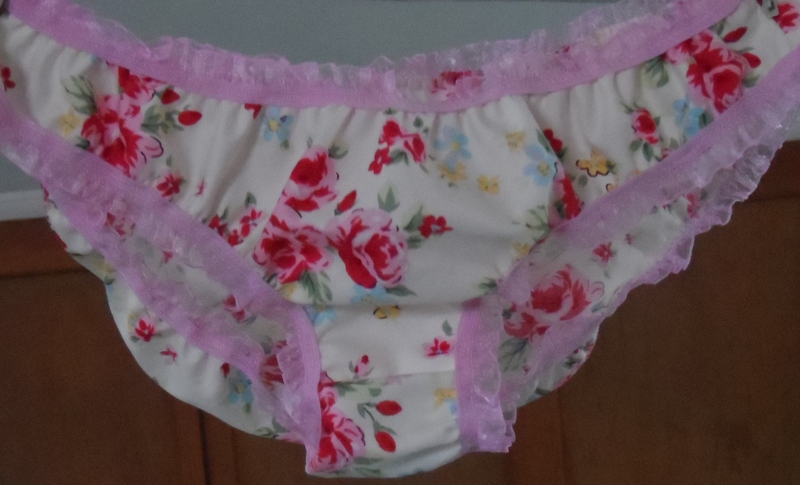 Today’s post is all about having some fun – if you have ever wanted to make some Knickers read on! As a knicker-making virgin I’ve opted for a kit. 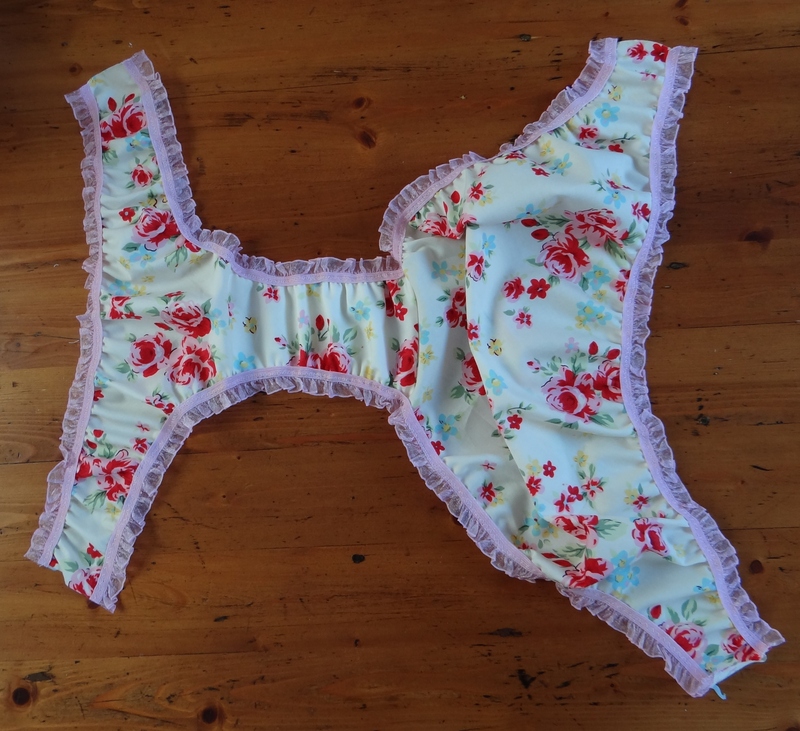 Although I’m using Flo-Jo’s Fancy Pants Knicker Making Kit there are also several others which are worth checking out such as those by Trixie Lixie. 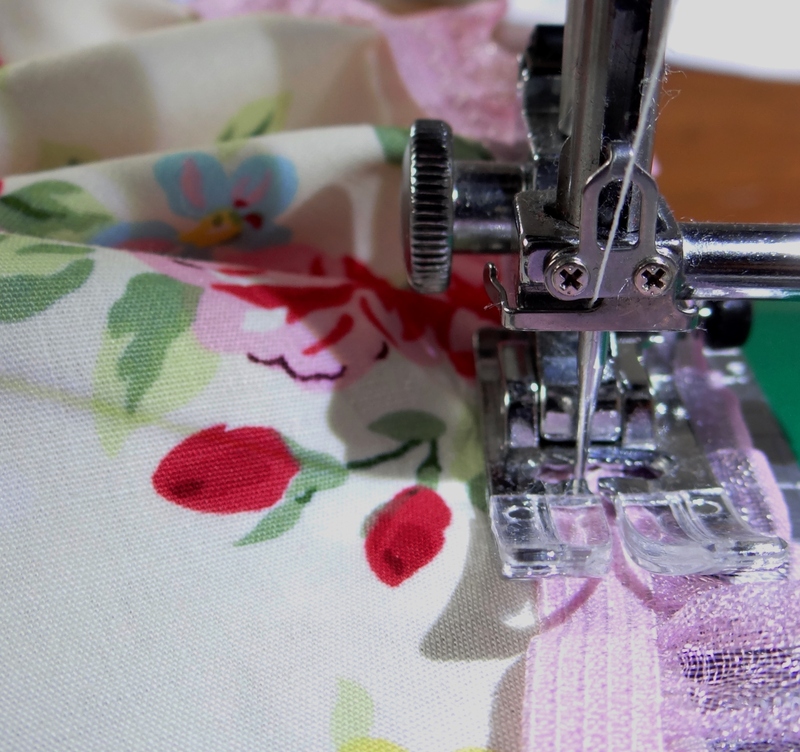 In the kit are some instructions, knicker elastic, a “fat quarter” of fabric, some cotton jersey fabric for the gusset and a knicker-making kit label – perfect for a first make. 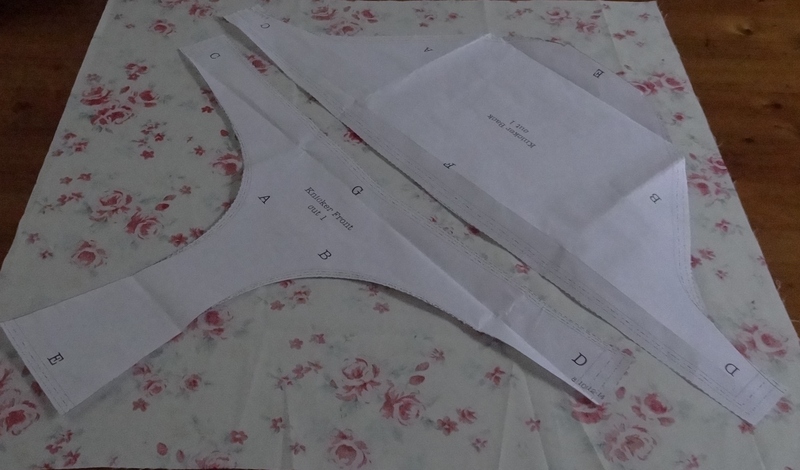 What I wasn’t expecting was how big the knicker pattern pieces were – I must admit I had a bit of a “is my bum really that big” moment! The pattern pieces are laid on the bias as there is more stretch to the fabric. 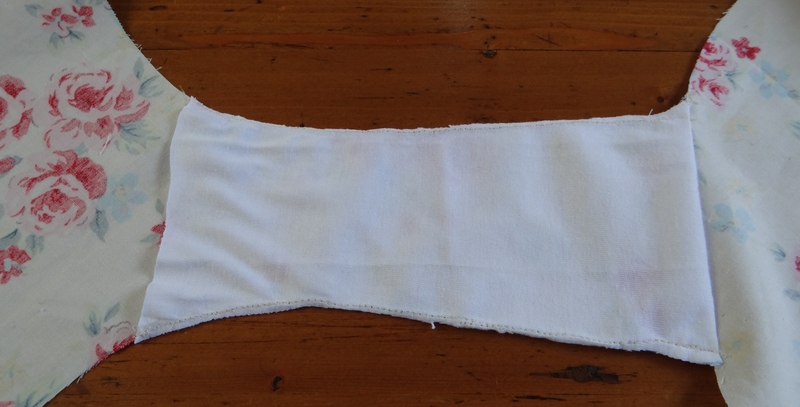 The gusset is cut from some stretchy jersey / T-shirt type fabric. When it came to stitching the gusset I deviated from the instructions a little. 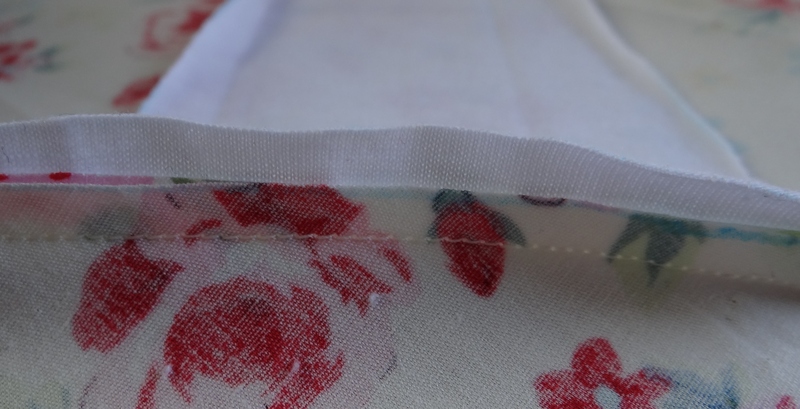 I placed the gusset on top of the knicker back (rather than front) so the raw edge was enclosed in the main seam. It went something like this. Can you see the three fabric layers? …and stitched in place along the sides. Does anyone know why you leave one end of the gusset open? The trickiest part for me was working out how much to stretch / pull the elastic by when you sewing it on. Once the knicker elastic had been attached to the top, I cut the remainder in half to make sure I had enough for each side. The last step was to sew up the side seams. 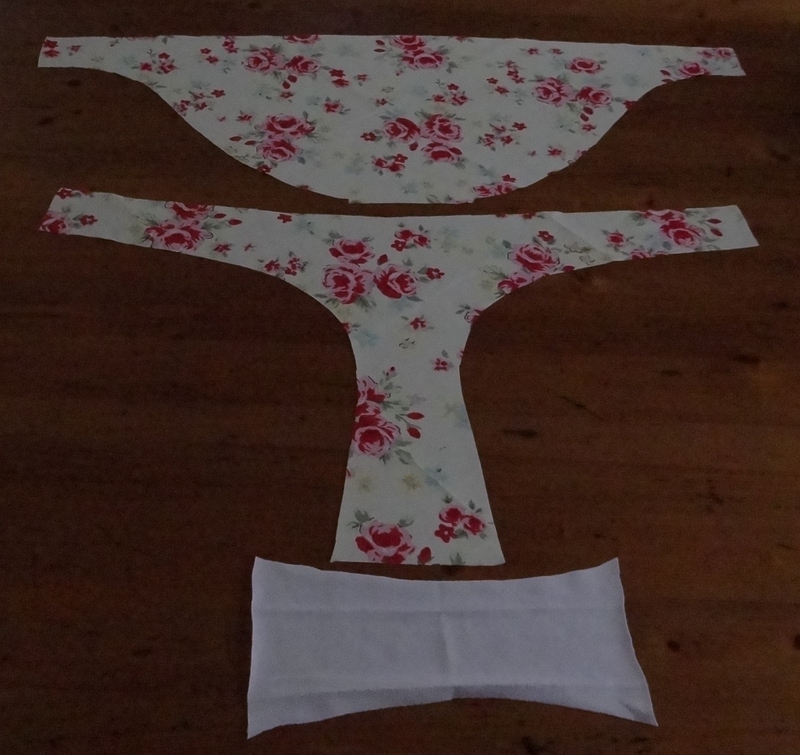 The beauty of making your own Knickers is that you can customize them to match your mood. Vintage them up or get a little bit naughty. With Valentine’s day on the horizon you could always stitch in a cheeky message for someone special to find! Now for a matching bra! 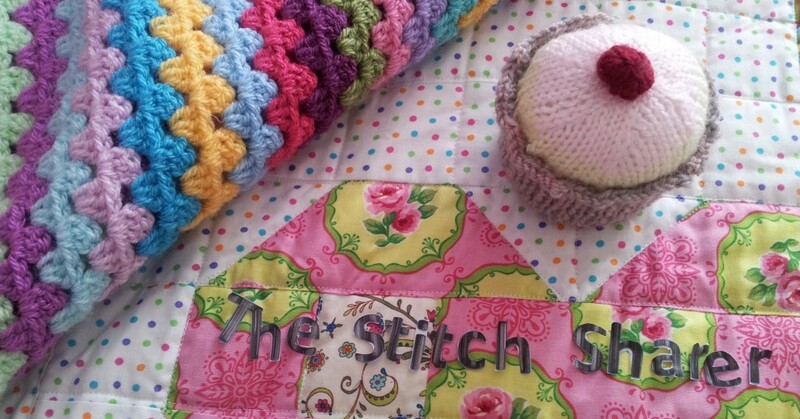 This entry was posted in Beginner, How to guide, Sewing, Stitching and tagged Flo Jo's Fancy Pants knicker making kit, Knicker Making Kits Guide, make your own Valentine vintage knickers, the stitch sharer, Trixie Lixie Knicker kit by thestitchsharer. Bookmark the permalink. These are great! I have a friend (https://emilianaunderwear.wordpress.com/blog/) who makes knickers and helps others to make their own by upcycling old t-shirts. Really, I think you could use any fabric, once you get the hang of it.Yours are cute! Thank you. They are great fun to make. Well I would never have thought of that lol! Cute and fun. Might have to do it. These are adorable! I really want to have a go at making some knickers! That kit is so cute! I found Flo-Jo Boutique by chance last year when I found myself in Bristol for the day and had the best time stocking up on ribbons, lace and fancy bias binding. I’ve since seen these knicker kits in quite a few places since, and I’m really tempted to get one and give it a go! Yours knickers look fantastic! The boutique sounds amazing, think I’ll have to arrange for a weekend to Bristol! Hello Looby Lou. 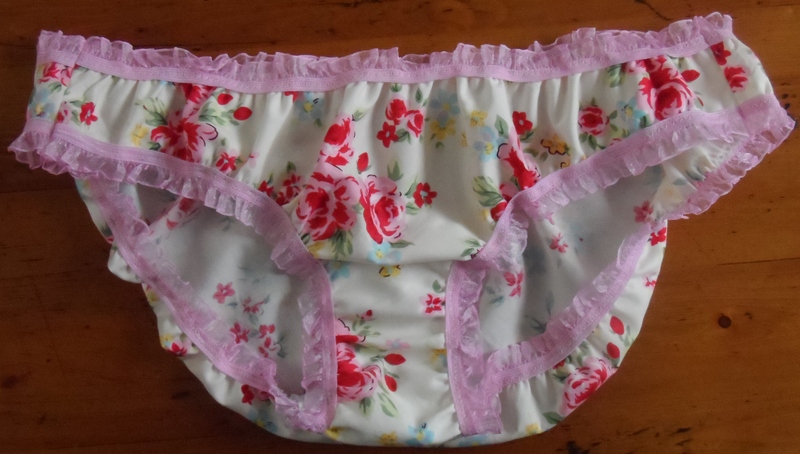 I have contacted Tracy at Trixie Lixie to find out her thoughts on making the knickers by hand. 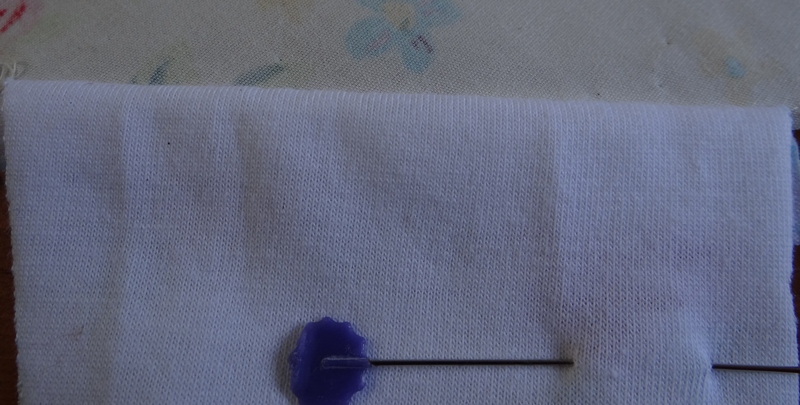 Because you need to pull the elastic and sew at the same time they aren’t recommended for hand sewing. However, I did notice some beautiful purse kits on their site which look like they could be stitched by hand. Really pretty knickers. Great post. 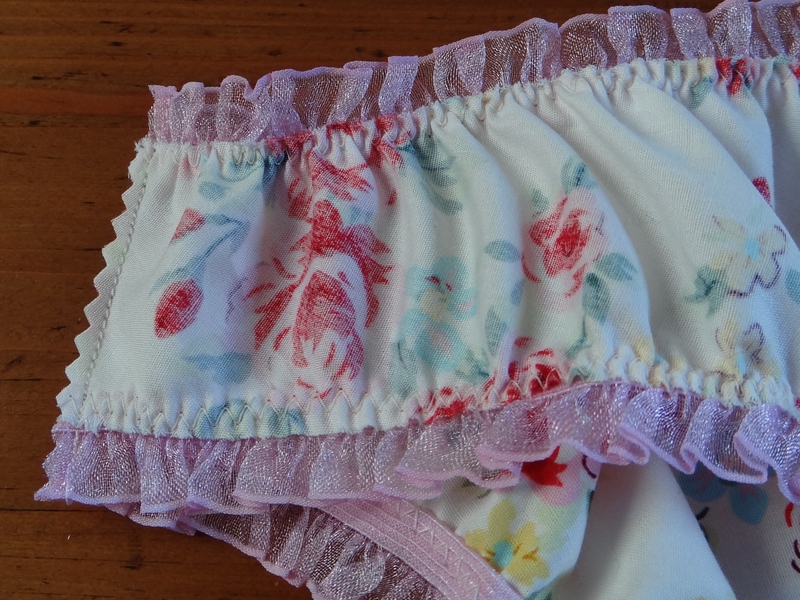 These are so cute, I don’t know why I’ve never thought of making my own knickers before! I’ve think you may have started something over here…..